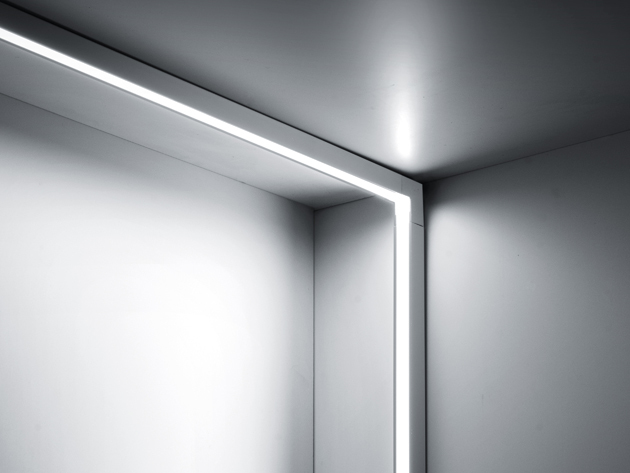 Continuous Rod Minimal is a linear luminaire made of a performing IP65 rated LED Strip and a thin aluminium profile in which it is embedded. 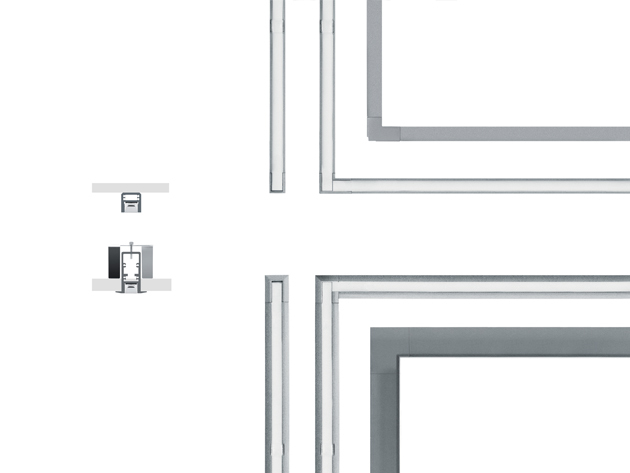 It comes in two versions, surafce - and recessed mount and the specific accessories available upon request designed around the standard luminaire significantly widen the applications. A straight connector allows a continuous installation of Minimal Rod to create uniform light lines at the desired length. The angular acessories can create angles at 90° for single flat surfaces or for two perpendicular flat surfaces. A specific recessed box to house the luminaire enables the installation in brick or cast concrete walls. The light intensity can be modulated with 24V remote dimmable power supplies.